If you would like to treat yourself and your family to something truly special this year, try sourcing chocolate that is organic and fair-trade. Organic chocolate is a healthier alternative for you and for the planet, and because of its increase in popularity; this product is now widely available in an extensive range of different flavors. Fair trade chocolate is essentially made from cocoa beans that are sourced from farmers whose workmanship is fairly rewarded. They are paid fair wages and don’t employ children workers, among other perks. Fair trade products are widely available, and they are becoming increasingly more common - they can even be found in big box stores and in offerings from major fair traders! The best thing about purchasing artisanal and local Easter chocolates is that not only will they be made in small batches using quality ingredients (so they will most likely taste better) but you can also support small local businesses while treating yourself! stunning and useful and can be repurposed easily. The best part is - they are great to have around the house for plants, storage, or other purposes. If you want to take a break from chocolate, fill them up with fresh fruit, organic treats, and recycled items such as bags, toys, and clothes. 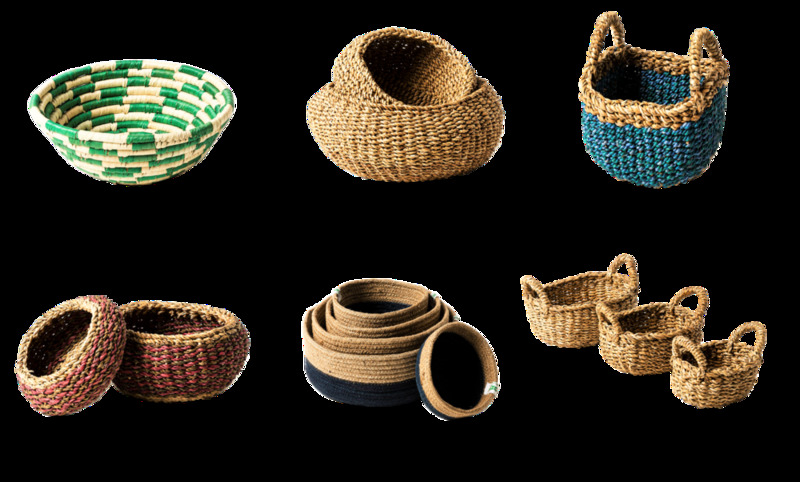 Find out more and browse through our breathtaking selection of great natural baskets and more!